Welcome to Avanti Skin Centers of Pittsburgh. At Avanti we strive to make all of our clients feel comfortable and at ease. The atmosphere of our office is friendly and inspires a calming effect. It is in no way intimidating and our patients are not just a number to us, we treat them like our family. Physician owned and operated by Dr. Heather Findlan, Avanti Skin Center offers you medical facial procedures within a spa setting. Our staff at Avanti is professional and courteous, constantly striving to exceed your expectations of exceptional service and desired results. 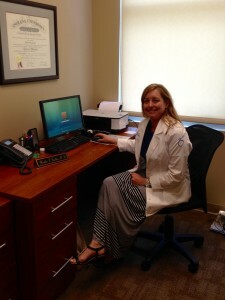 Heather Findlan M.D. received her Bachelor of Science degree with highest honors at Purdue University in West Lafayette, Indiana. From there she attended Indiana University School of Medicine in both Bloomington and Indianapolis. At graduation she was inducted into AOA Medical Honor Society. During college she met her now husband Dr. Thomas Findlan and they moved to Pittsburgh to complete their residency training. Dr. Heather Findlan was trained in primary care and Dr. Thomas Findlan in Ophthalmology. After practicing for over 6 years in Utah and Florida, they decided to return to Pittsburgh where Dr. Thomas Findlan purchased his own ophthalmology practice in Jefferson Hills and Dr. Heather Findlan opened up her own skin care practice, Avanti Skin Centers of Pittsburgh in the South Hills. During the past several years Dr. Heather Findlan has attended multiple training seminars and logged numerous hours in the area of laser and light based technology for permanent hair reduction and skin rejuvenation. Her skills also include injectables such as Botox and Dermal fillers. Dr. Heather Findlan performs all of the injectable treatments and Laser Vein treatments at Avanti. She is also on site for many of the other treatments performed in the office. 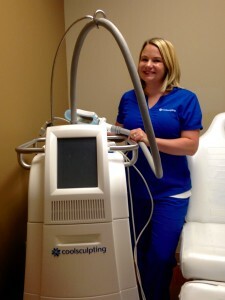 Medical Aesthetician, ZO Skin Care professional, Rhonda Allison Chemical Peel Expert and CoolSculpt Certified. Lindsey has been with Avanti since 2010 and has over 10 years experience in the Aesthetic field. She is a Pennsylvania state licensed esthetician, certified laser technician and certified Obagi Professional. With a lifelong passion and general interest in skincare, Lindsey is always staying up to speed with the latest and greatest products, services and education. 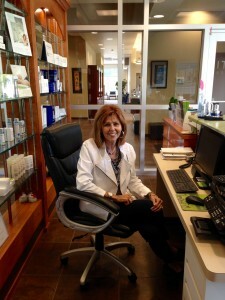 Her indepth knowledge and love of the skincare world truly provide her patients with a unique esthetic experience. As a former employee of Dr. Tom Findlan at Pittsburgh Eye Institute, Sarah brings with her to Avanti 9 years of customer relations experience. She has a diversified background in the medical field and service industry as a former LPN and hairstylist. Customer satisfaction is of top priority to her, accommodating clients’ needs and desires. Sarah will greet you with a warm, inviting smile and make you feel like you are a welcome part of the Avanti family.